In Need for Speed the Run, you’re going to have to do exactly what you never wanted to do in a NFS game, get out and run, on foot. That’s no joke. In the latest racer from the NFS franchise your back to evading the law and a host of bad guys as you play as Jack, a marked man who just figured out a way to save his life. Of course that way involves an illegal underground race from San Francisco to New York. And of course Jack is running from the law, the mob, and the devious racers he’s pitted against. This time though you’re going to have to get out of the car and make you way on foot. That also means at some point though, you’re going to have to get back into a car and that could make for some really interesting gameplay. Interestingly though the Run is now using the Frostbite 2 engine created by DICE studio, so if nothing else we should have some great explosions and special effects going on. Multiplayer is back in the Run as well as the Autolog to tell all your friends when you’ve just topped their best times in the game. EA has always been good about getting real world car licensing so expect more of that to go with the prettier graphics. 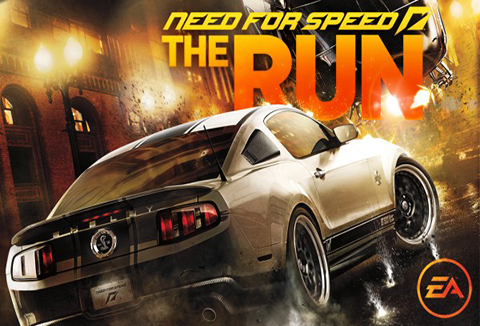 Look for Need For Speed the Run in November 2011.